Every November, millions of people set aside time to appreciate who matters most. 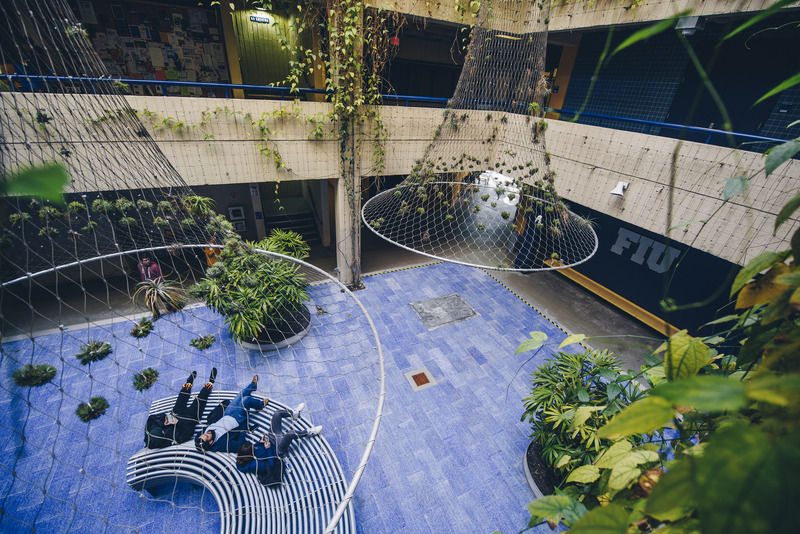 At FIU, we show our gratitude for fellow Panthers by setting aside time to celebrate each other and bond as a community. 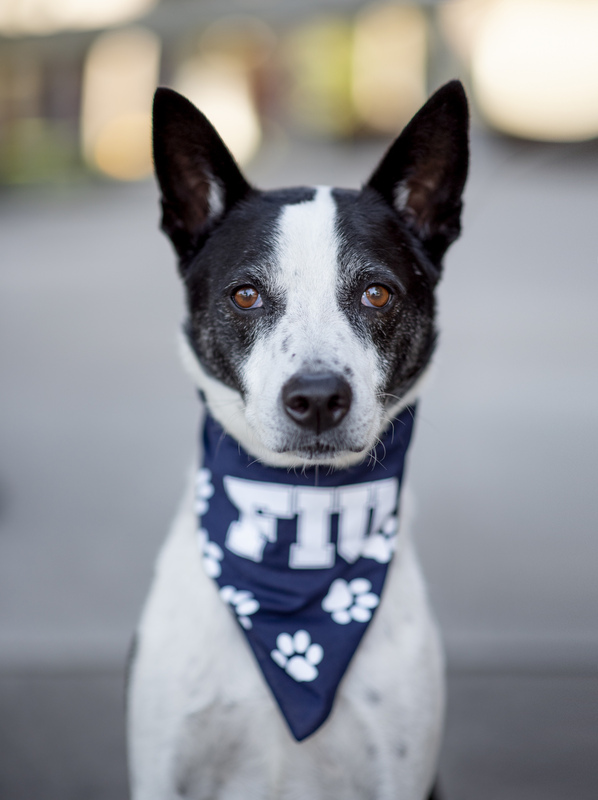 Here are just a few of our favorite moments from November, as captured by FIU photographers Margi Rentis, Vince Rives and Carl-Frederick Francois. 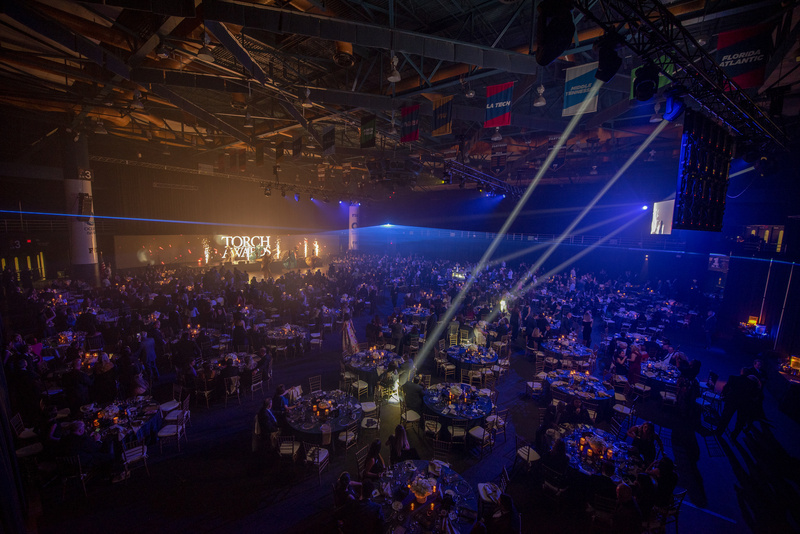 FIU alumni were recognized for their impacts on their professions, the community and our university at the 17th annual Torch Awards in the Ocean Bank Convocation Center. Photo by Margi Rentis. 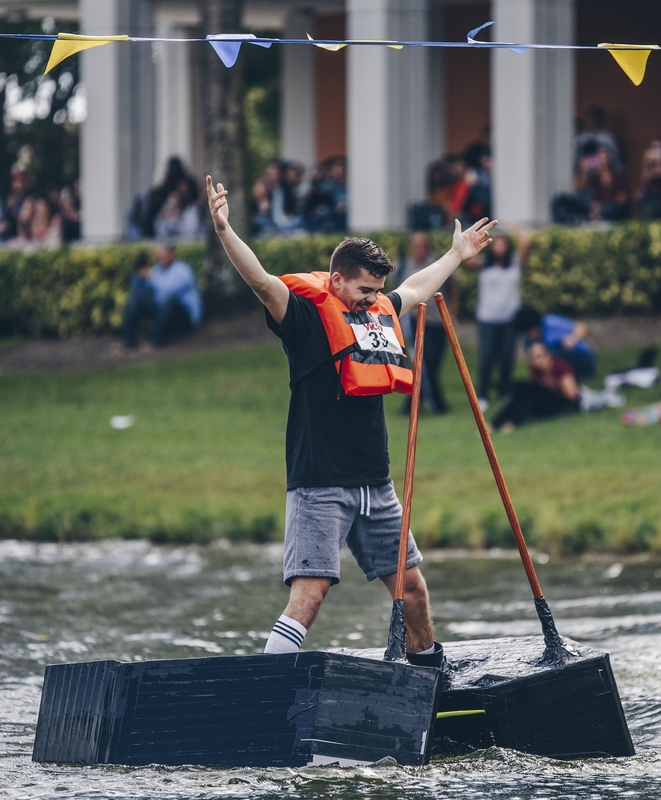 Sophomore Hunter Swihart took home the top prize at the 29th annual Walk on Water challenge for team “Daddy Longlegs.” Photo by Margi Rentis. 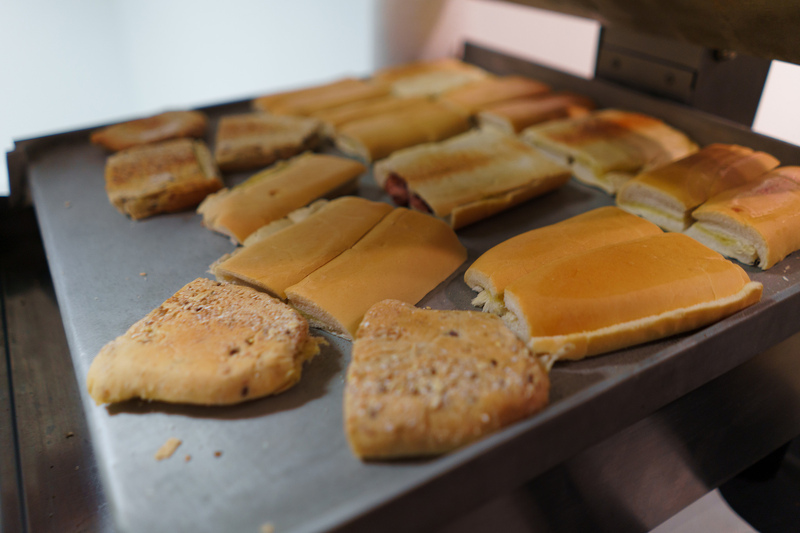 The tostadas were fresh at the Office of Engagement’s Tostada Tuesday, an event where FIU and local communities get together for cortaditos and conversation. This month’s theme: “Attitude for Gratitude.” Photo by Vince Rives. The Chaplin School of Hospitality & Tourism Management and North Miami Brewfest provided attendees a diverse palette of craft beers to sample. 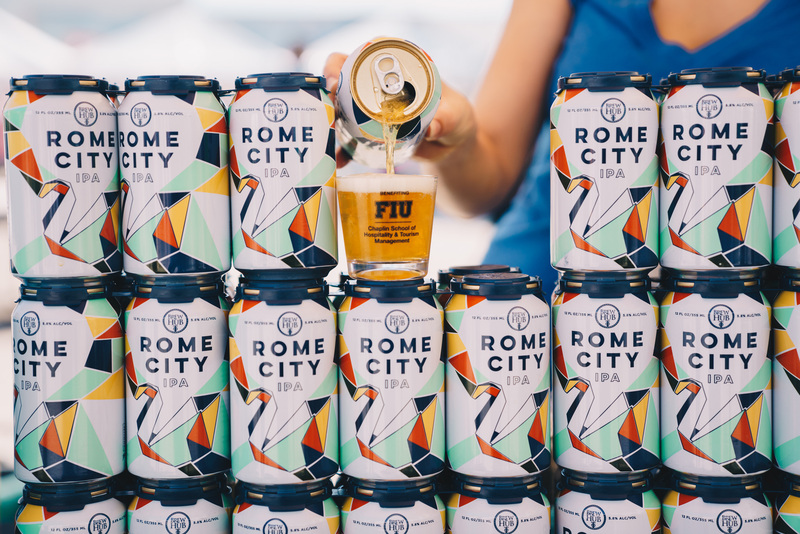 Among them was Rome City IPA, a nationally recognized beer produced by BrewHub. Our alumna, Paige Wuensch (pouring beer), sells the beer to bars, liquor stores and supermarkets as a regional sales manager for the company. Photo by Carl-Frederick Francois. 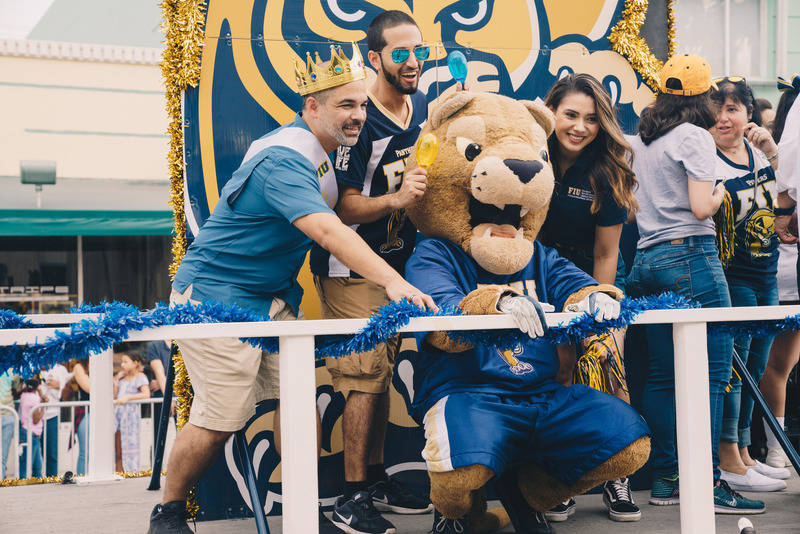 Jose Toscano (left), Mohamed Ghumrawi (back), Sabrina Rosell (right) and Roary soak in the North Miami Winternational Thanksgiving Day Parade. Photo by Carl-Frederick Francois. A good boy with a good bib. Photo by Margi Rentis. The floor in the Deuxieme Maison Sky Lounge got a makeover this month. Photo by Margi Rentis. 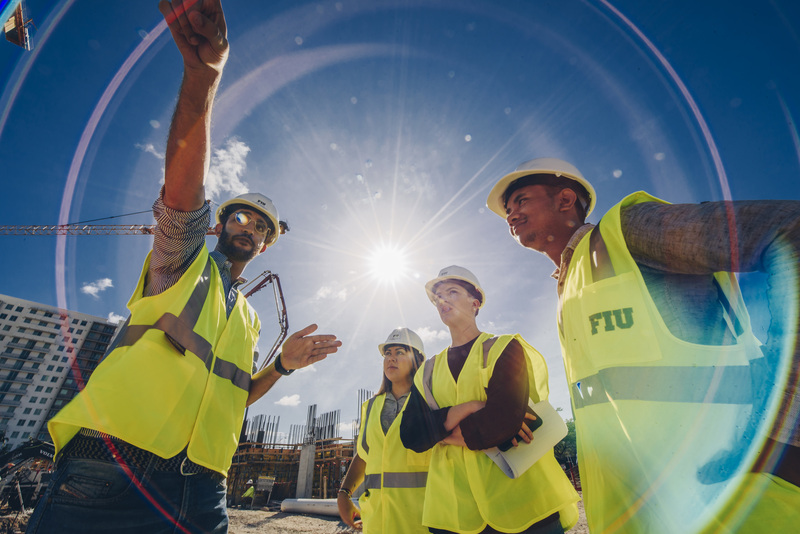 Mohamed ElZomor (left) – a professor in the Moss School of Construction, Infrastructure and Sustainability – explains construction methods and materials on a community job-site. Photo by Margi Rentis. Awesome – way to go!! !